3 bedroom, 1 1/2 bath 1700+ sq ft ranch house w/ 2 car attached garage with view of Mosquito Lake. Great summer home or live there year 'round! Fabulous 4 BR, 2.5 BA, 2-story home with 2-story foyer, open eat-in kitchen, lr, fr w/ fireplace, bonus room off master. MANY NEW UPDATES. new 10x20 storage shed. Right next to access path to hike/bike trail. CLOSING NOW! furniture, Sports, collectibles, glassware, tons of woodworking, lawn/garden, outdoor decor, vintage items, silverware, and More! House is PACKED! PREVIEW: CANCELLED!! Affordable 4 BR, 2 BA ranch home w/ full basement near churches, shopping and 10 minutes to downtown Youngs-town. BUY IT BEFORE SOMEONE ELSE DOES! 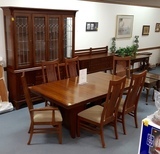 Complete contents selling at a separate auction. CLOSING! GET YOUR BIDS IN! Beautiful furniture by Harden & others, decor, housewares, art, crystal, riding mower, snow blower, tools and MORE from a SUPER CLEAN HOME! PREVIEW: CLOSING WED. STARTING AT 6:30 PM! 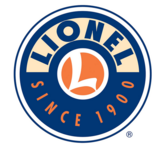 Lionel Trains and Accessories. Overy 500 lots! Items from a long-time, local collector. CLOSING TONIGHT STARTING AT 6:30! Antique & Modern Furniture, Rope Bed w/ Trundle, Art, Clocks, Occupied Japan, China, Collectibles, Outdoor Items, Glazed Jug, Armani & Other Figurines, More! CLOSING TODAY starting at 6:30 pm* High end furniture & Decor, Asian Decor, Waterford Crystal, Edna Hibel, Yakov Brusin & other Art, Haviland Limoges, rare German piano baby, Christmas ornaments, patio tables & outdoor items; MORE! PREVIEW: Mon., Feb. 25th, 3-6 pm! Mobility Scooters, Craftsman Tool Chests, Texaco sign, collectibles, furnishings and more! BIDDING OPEN! Poland Real Estate Auction - MAJOR PRICE REDUCTION! PREVIEW: Mon., Feb. 25th, 3-6 pm: REDUCED!! 5 BR Century home w/ 2 master BRs, 3 full baths, 3 laundry ares on 1.9 acres with 3 garages - conveniently located to shopping, restaurants and close proximity to I-680.